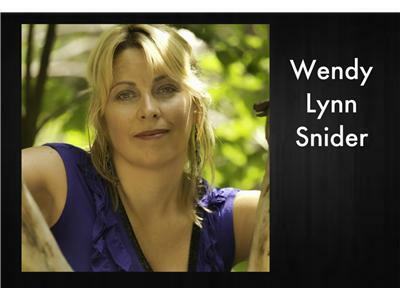 Country artist Wendy Lynn Snider was born & raised in the beautiful surroundings of Temagami, Ontario. She grew up in a musical family listening to Christian and classic Country performed by artists like Waylon Jennings, Johnny & June Carter Cash, and Patsy Cline. As she grew up, through all the twists and turns life brings, she kept singing and songwriting and sharing her gift. In 2010, she re-connected with high school friend and long-time music industry person Michael Peters. He encouraged her to record another CD and brought in popular Country artist Thomas Wade to produce the album. Including the 3 songs Wendy and her husband Curtt wrote, there are a number of Canadian songwriters lending their talents to the project including Michael, who also acts as executive producer of the album. The project also features CCMA award-winning players Shane Guse on fiddle, Doug Johnson on steel and Thomas Wade on guitars - among others. Wendy's CD Release Party takes place in early November. Tune in to get an up close & personal look at her music career and making of the album.